Lively’s Gold Rush comes to Fremont! The Lively Foundation presented its rousing performance, The Gold Rush! 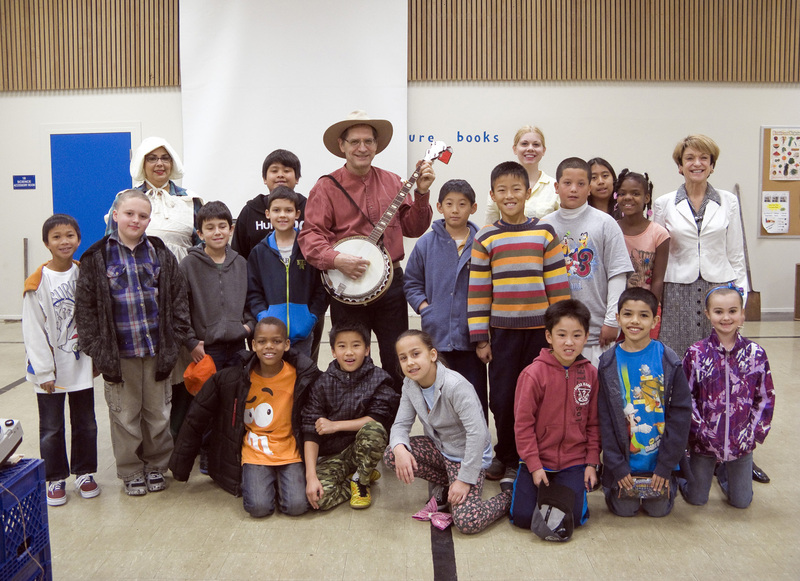 at the Harvey Green School, Fremont, CA, April 4, 2014. Response was tremendous for this entertaining and painlessly educational show. The students had a lottery to see who would get to be in a picture with the performers. Here are the winning students, performers Audreyanne Covarrubias, Jonathan Clark, Amity Johnson, and teacher Melanie MacAdams. Ms MacAdams already told us she wants us back next year. The Gold Rush is part of the core curriculum for California students. The Lively Foundation has supported educators and students with our amazing program since 2000. This entry was posted in Lively Foundation News & Events and tagged Amity Tink Johnson, Audreyanne Covarrubias, CA, California history, Fremont, Harvey Green School, The Gold Rush!, The Gold Rush! educational program on April 16, 2014 by Leslie.